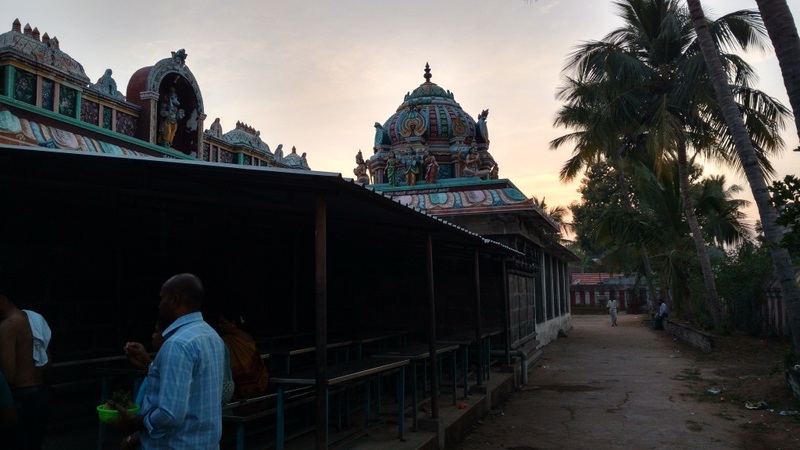 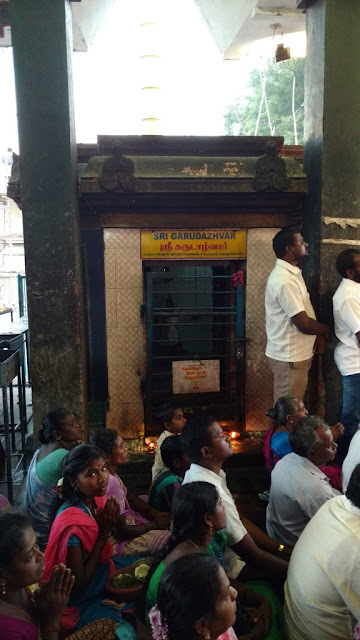 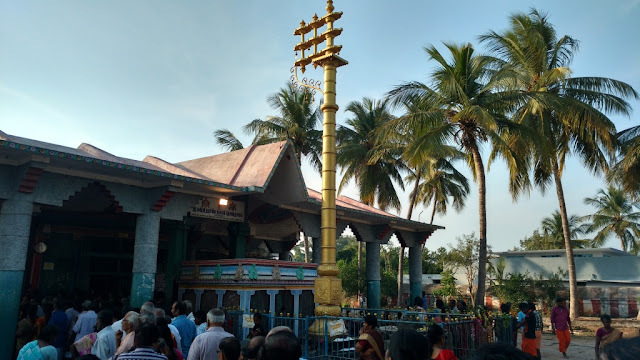 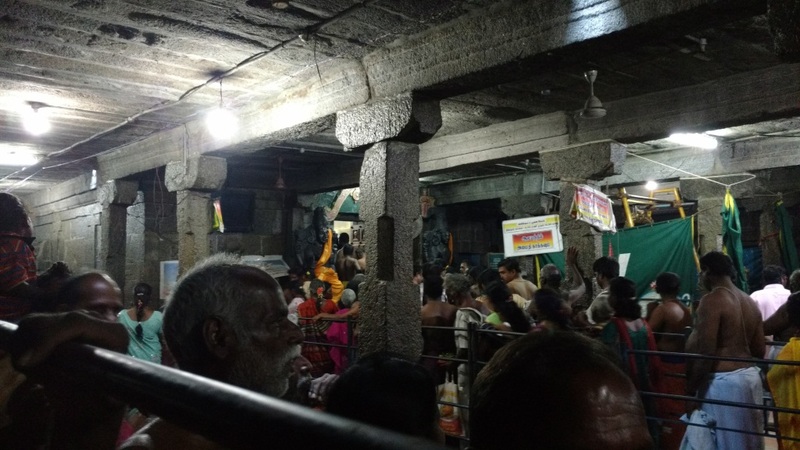 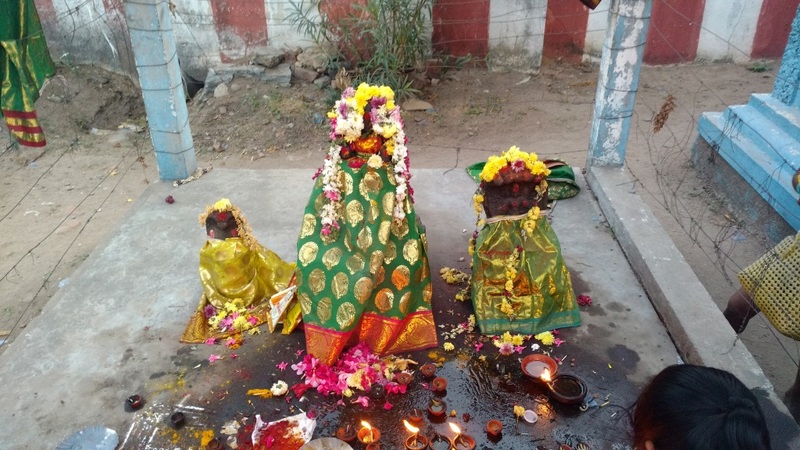 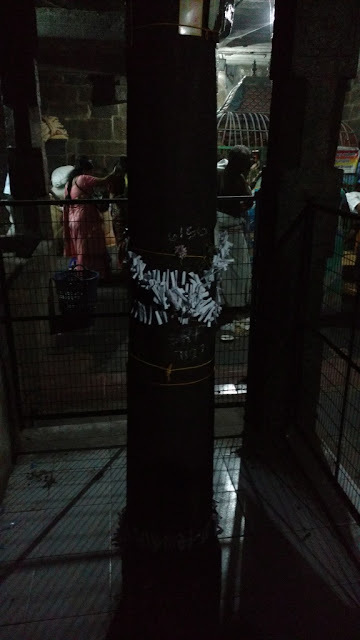 Parikkal Lakshmi Narasimha Temple in Villupuram district in Tamil Nadu is the unique temple where both Narasimha and Lakshmi devi embrace each other. 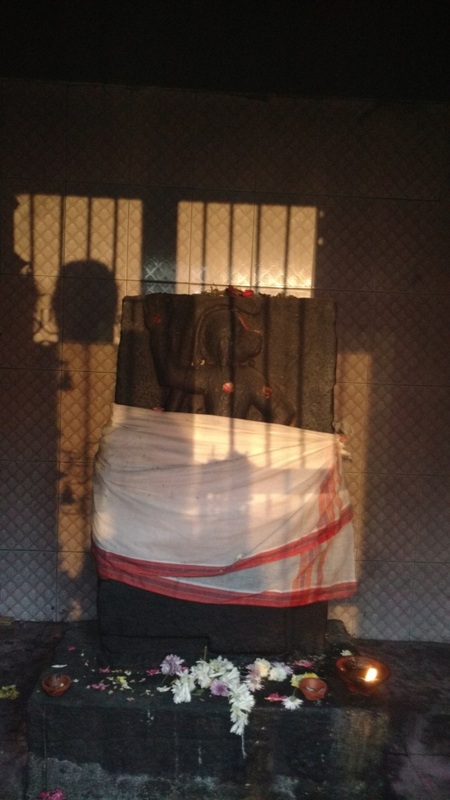 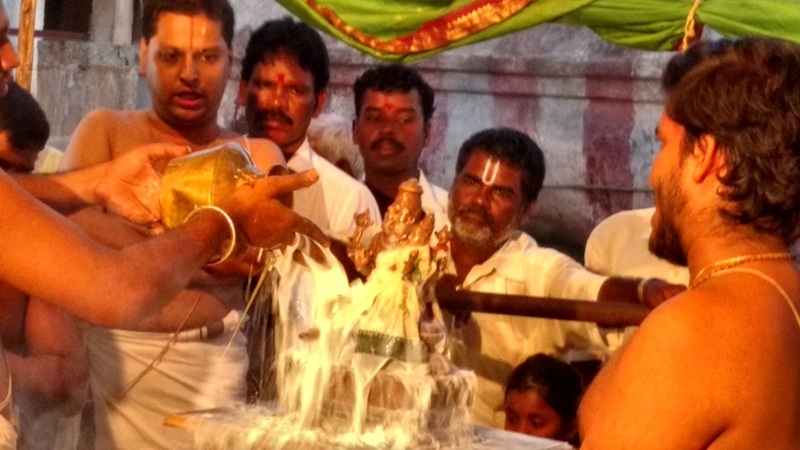 Usually in Lakshmi Narasimha temples, only Narasimhar is found to embrace Lakshmi devi. It is one of the rare temples where both the Moolavar and Utsava Murty are Lakshmi Narasimha forms. There is a second utsava murty of narasimha in standing posture inside the Garba Griham. 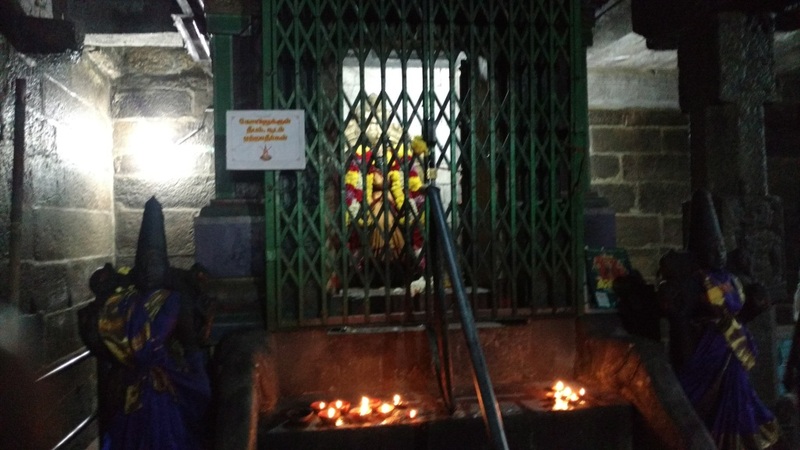 A raja named Vasantharaja wanted to build a temple for Lakshmi Narasimha swamy and approached his guru Vamadeva rishi to perform a yagna for the same. 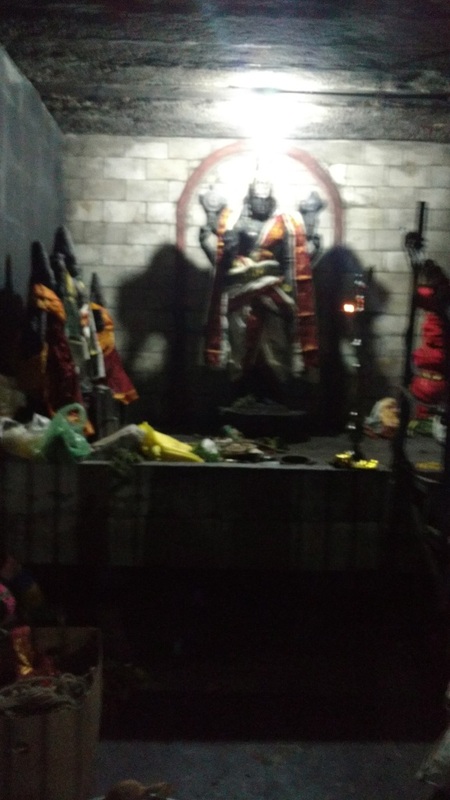 But a demon named Parikalasura came to destroy the yagna. 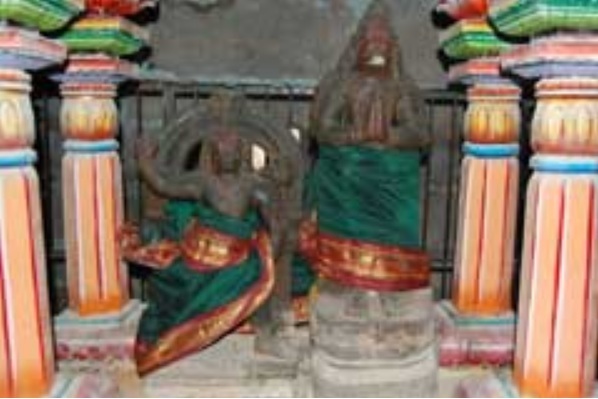 Vamadeva rishi gave mantra upadesa to raja and asked him to hide nearby. But the asura tried to kill raja still, hence Lakshmi Narasimha Swamy manifested himself there and killed Parikalasura. 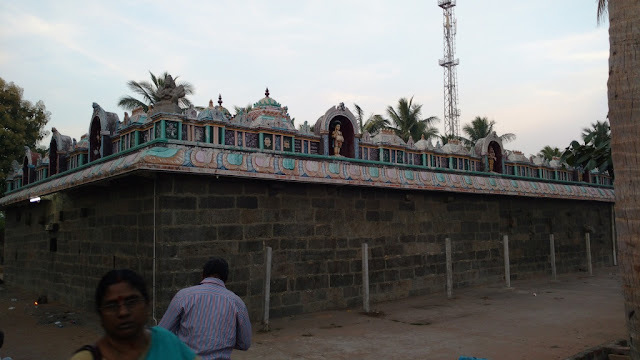 Hence this Kshetram is known as Parikkal. 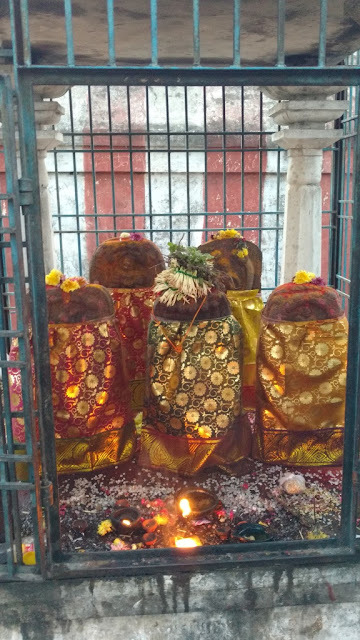 There is a unique Narasimha Sthambam here as seen below similar to other Narasimha Sthambam found in ancient Narasimha Temples like Simhachalam and Kadiri in Andhra Pradesh and Athazhanallur in Tamilnadu. 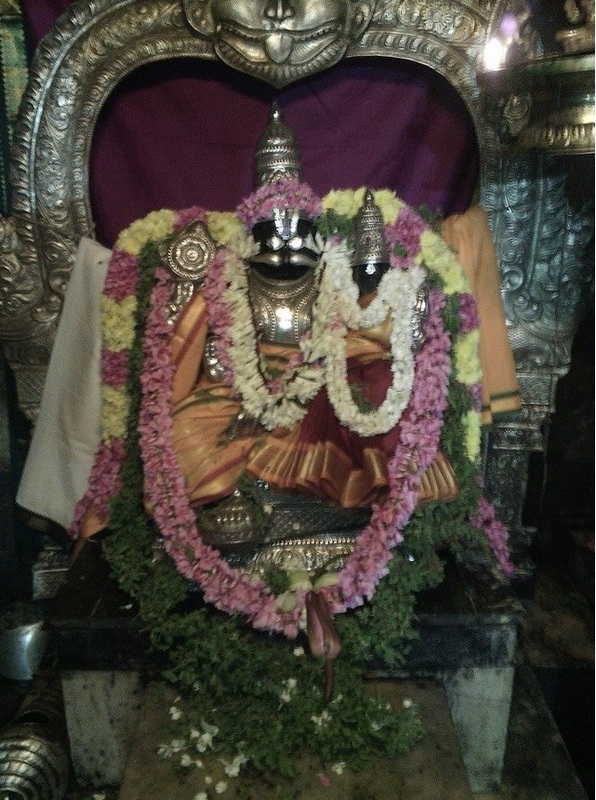 This Sthambam is important as Narasimha Swamy himself came out of a pillar in order to kill Hirayakasupu and save Prahlada. 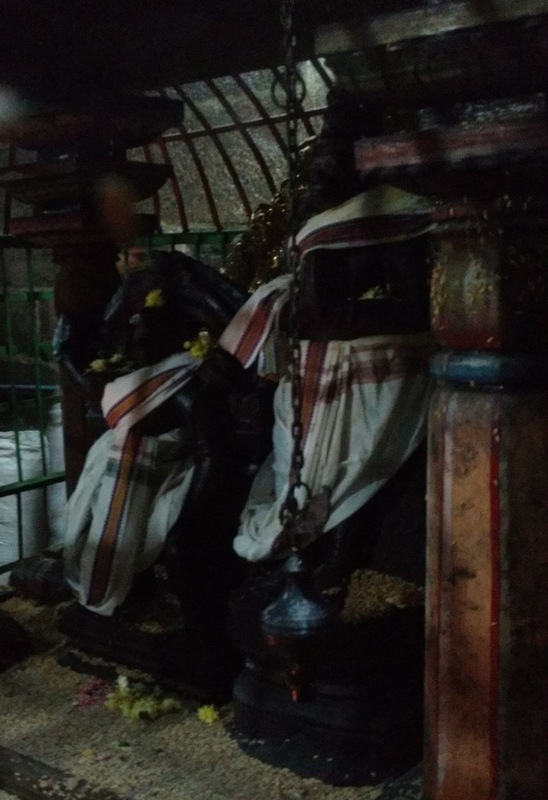 In the Vayu Disha or North Western Direction, two forms of Anjaneya namely Veera and Bhaktha Anjaneya are found in the Prakaram which is a very rare occurrence.